The students at St. Joseph-St. Robert School in Warrington recently achieved their school fundraising goal of selling 800 discount cards for the school. In recognition of the students’ spirit, principal Deborah Jaster sported a new red, white and blue hairdo for the day. 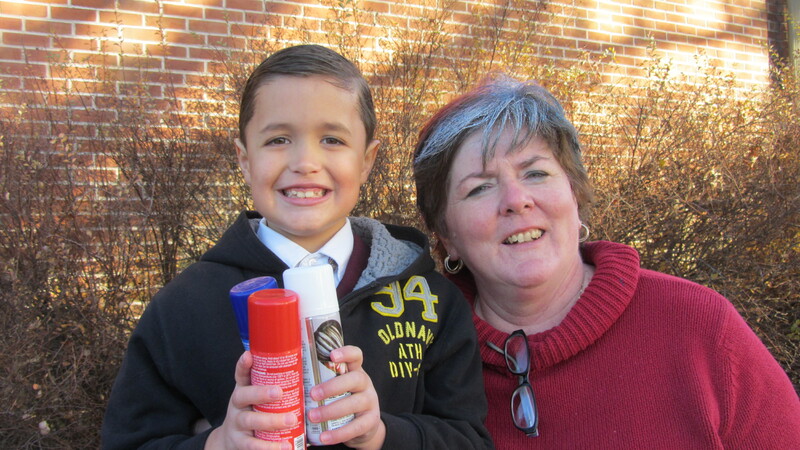 Second grader Ryan Byrne (shown above at left) won the opportunity to be her hairstylist.